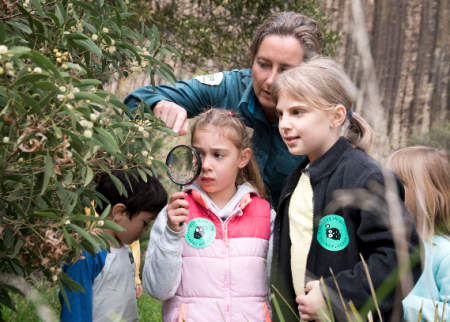 If you are thinking of exploring Dunedin with kids, there is plenty to do to keep them busy. Find out what’s to love in Dunedin with kids. 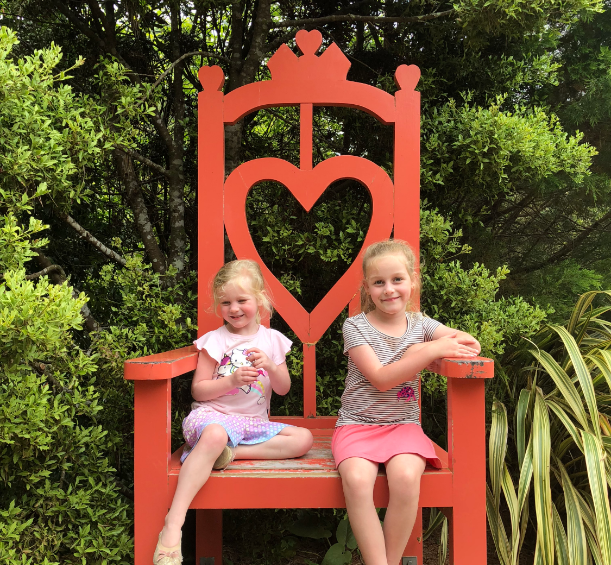 Larnarch Castle and gardens is an absolute must visit in Dunedin. The castle has been restored and open to the public to discover. The only castle in New Zealand, Larnarch Castle was built by William Larnarch for his wife Eliza in 1871. 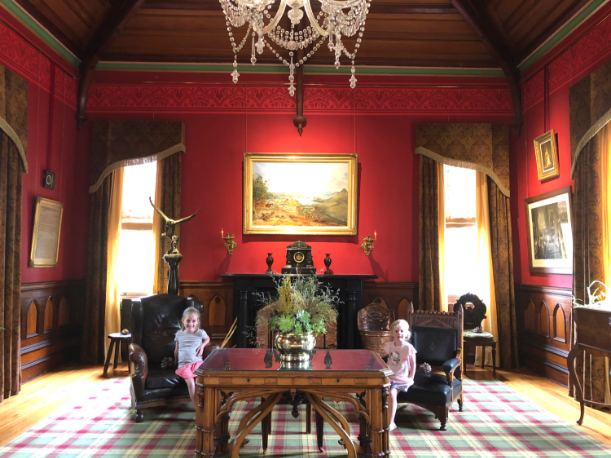 The tribe loved climbing the winding spiral staircase and enjoying the rooms decorated in period furnishings from the lavish music rooms to the baby nursery and family living quarters upstairs. You can even climb to a viewing tower at the top of the castle to take in the stunning garden views. 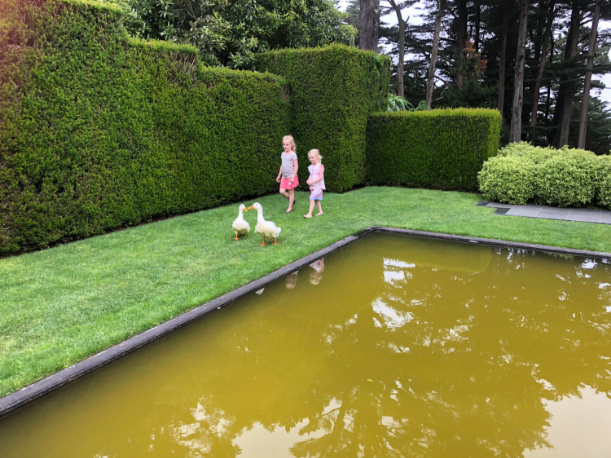 When we had finished exploring the castle, we loved roaming around the picturesque gardens. You could find special Alice in Wonderland figures throughout the garden making the walk even more exciting for the kids. Baldwin Street in Dunedin is the steepest residential street in the world according to the Guinness Book of World Records. Whilst it is the steepest street, it’s only quite a short culdesac so it’s worth taking a walk up the street to see the view from the top. The top end of the street is the steepest part, but you can use the stairs on the sidewalk to help with the climb or follow my husband’s lead and crawl up the street. 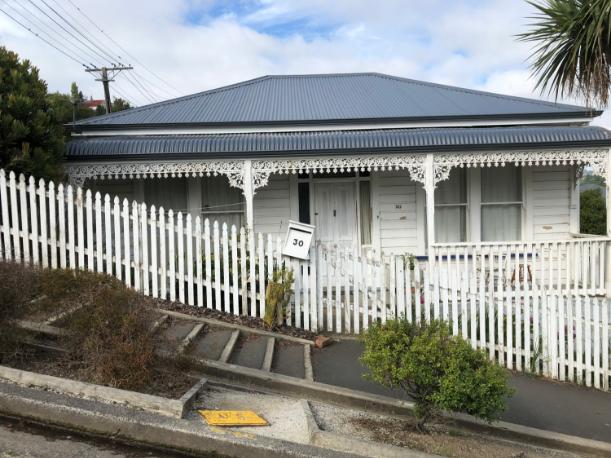 There are some epic photo opportunities to be had including this iconic picket fenced house about half way up the street that really shows just how steep Baldwin Street is. 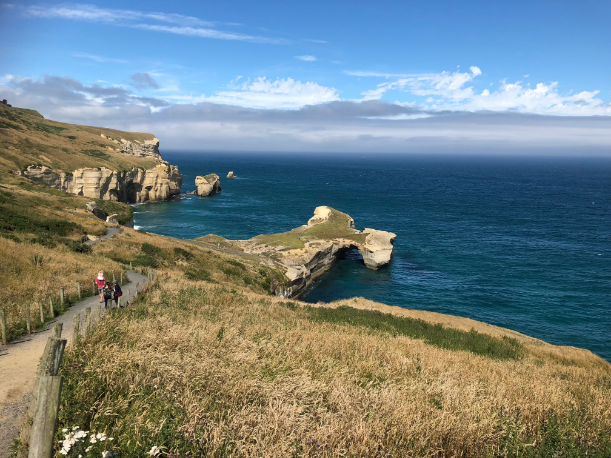 Tunnel Beach is a must see when visiting Dunedin with the kids but be sure to pack your walking shoes and take water. The walk down to Tunnel Beach is an easy one as it is all downhill. The return trip takes an hour but the walk down is only 10-15 minutes. When you reach rocks the views of the sandstone caves is amazing. There is a hand carved rock tunnel that leads down to the beach, and is the reason the beach is called Tunnel Beach. The scenery is breathtaking and very much worth exploring with the kids. The walk back up is steep and tiring so prepare for the walk with the kids.